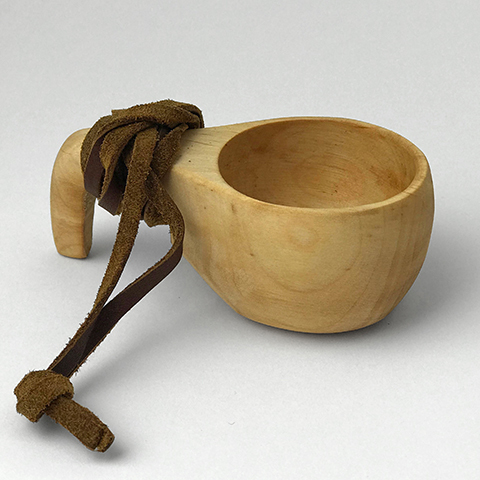 Wooden Kåsa (Guksi) with leather strap. 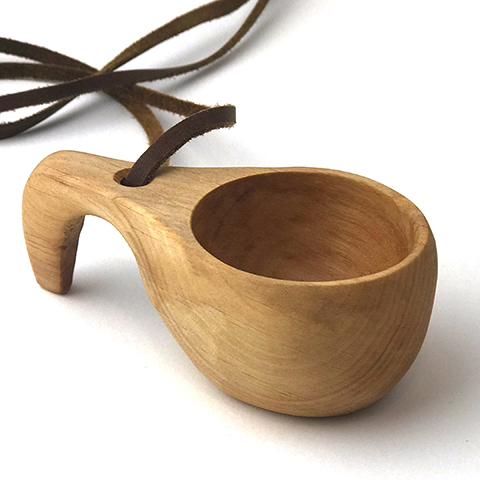 Drinking cup, traditionally crafted by the Sami people of northern Scandinavia. Size: L 10 cm. Material: Alder.